Extra Strength Weight Loss Pills That Work, Appetite Suppressant & Carb Blocker with Garcinia Cambogia- Fast Acting Weight Loss & Detox - 60 caplets by Invictus Labs at Need to Diet. MPN: 011. Hurry! Limited time offer. Offer valid only while supplies last. What is Elite Burn? The effectiveness of every single ingredient in Elite burn has been demonstrated over years of research and testing. BEST FAT BURNER WITH NO CAFFEINE OR STIMULANTS - Best fat loss supplement to boost your metabolism without added caffeine or stimulants. No jitters or harsh crashes. POWERFUL NATURAL WEIGHT LOSS SUPPLEMENT - Elite Burn natural diet pills work for men & women. Trim your physique in record time without jitters or crashing. 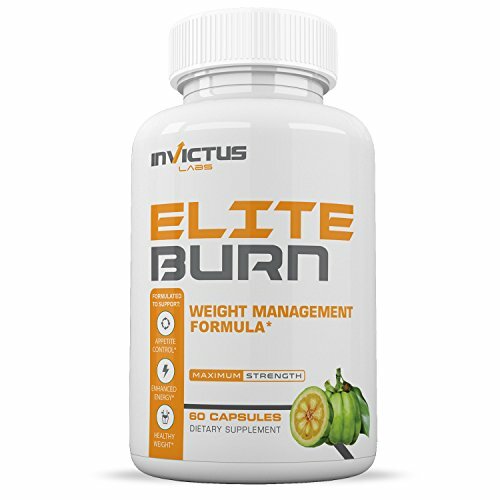 IMPROVED HEALTH & FITNESS - Add Elite Burn to your diet and exercise plans and reach faster, sustainable results to lose weight and reveal the toned muscles underneath. MADE IN THE USA - Elite Burn is manufactured in the USA in a GMP & NSF certified manufacturing facility using the strictest quality control guidelines. If you have any questions about this product by Invictus Labs, contact us by completing and submitting the form below. If you are looking for a specif part number, please include it with your message.